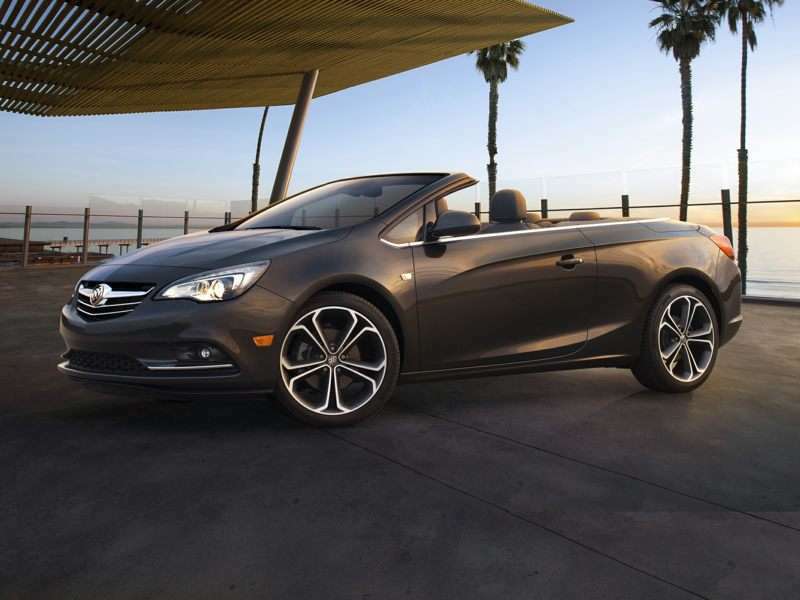 The 2019 Buick Cascada is a 2-door, 4-seat Convertible, available in 3 trims, ranging from the Base to the Sport Touring. Upon introduction, the $33,070 Base is equipped with a standard 1.6L, 4-cylinder, engine that achieves 21-mpg in the city and 29-mpg on the highway. an Automatic transmission is standard. The $37,070 Sport Touring is equipped with a standard 1.6L, 4-cylinder, engine that achieves 21-mpg in the city and 29-mpg on the highway. an Automatic transmission is standard. Buick might be the oldest brand in America, but it is courting a new generation of customers thanks to the recent bankruptcy and re-birth of its parent company, General Motors. To see where Buick has been compared to where it is today, check out Autobytel’s archive of Buick pictures going back to 1999. Back then, the brand peddled traditional American cars styled and positioned to a 1960s-era ideal of upscale conservatism. Our archive of Buick photos displays these models, which wear long-time nameplates such as Century, Le Sabre, Park Avenue, Regal, and Riviera. Today, vehicles wearing the tri-shield emblem might wear classic styling cues like “venti-ports” and waterfall grilles, but our Buick images also demonstrate a European sensibility to their design. There’s a good reason for that. Before General Motors was forced to file for bankruptcy in 2009, Saturn, one of the company’s many brands, was in the process of becoming to America what GM’s German brand Opel was to Europe. Saturn did not survive the bankruptcy process. Buick did, along with Cadillac, Chevrolet, and GMC. Today, the current Encore, Regal, and Verano models are based on Opel models sold in other parts of the world. Buick survived GM’s bankruptcy because it is one of the most popular brands in China, and because GM sells more vehicles in China now than it does in the U.S., the oldest American brand got a reprieve and a re-boot. The good news is that Buick is now selling better cars and SUVs than it has in a very long time.